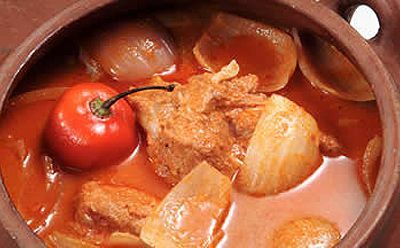 A pork stew made with chicha (corn beer). It is particularly consumed for New Years Day in hopes for good luck in the coming year since the pig symbolizes abundance. 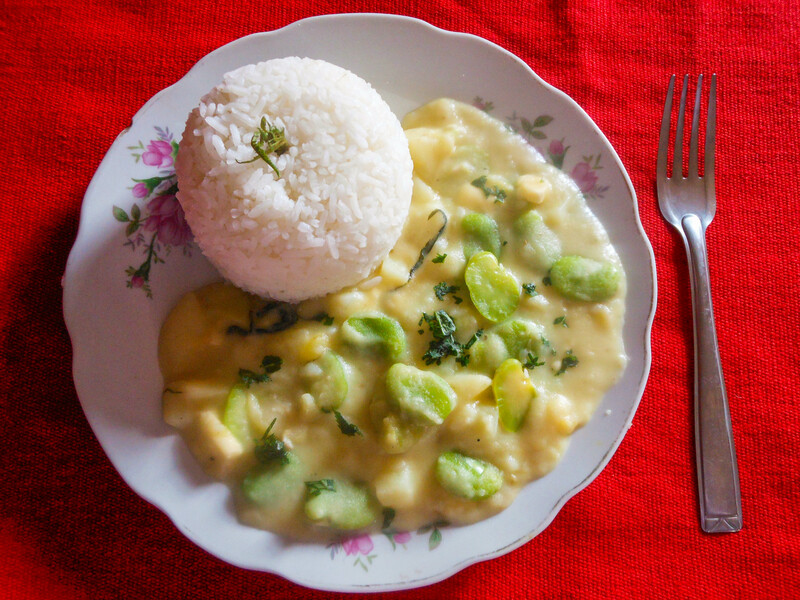 This stew traditionally called â€œTIMPUâ€, is eaten in February as part of the celebration of Carnival. It is made from lamb and vegetables. As its name indicates, these are twelve dishes that are served on this important time. The dishes stand for the Twelve Apostles and they are prepared on the basis of various fruits, vegetables, and fish. However, they may not contain meat in honor of Christâ€™s passion. Traditional, typical dish consumed in June. 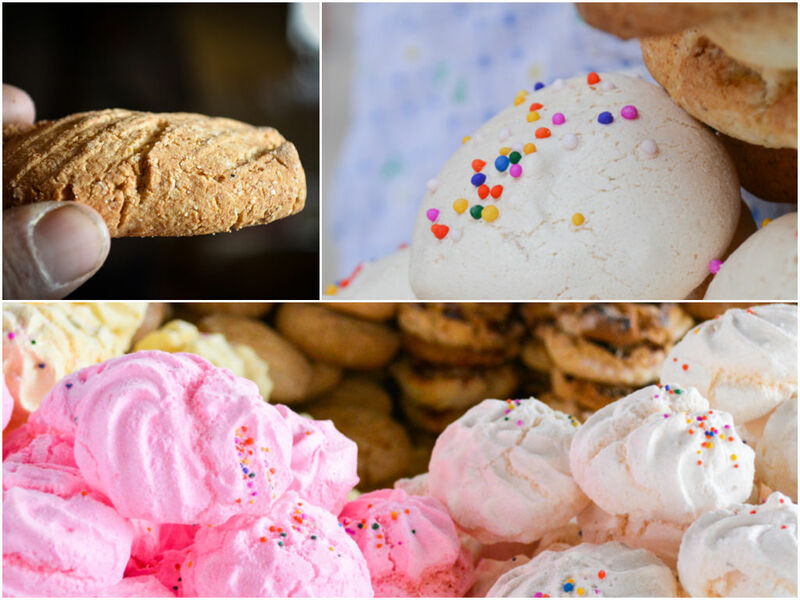 It is prepared in rustic ovens made in the countryside in the moment from clods of dirt (kurpas). 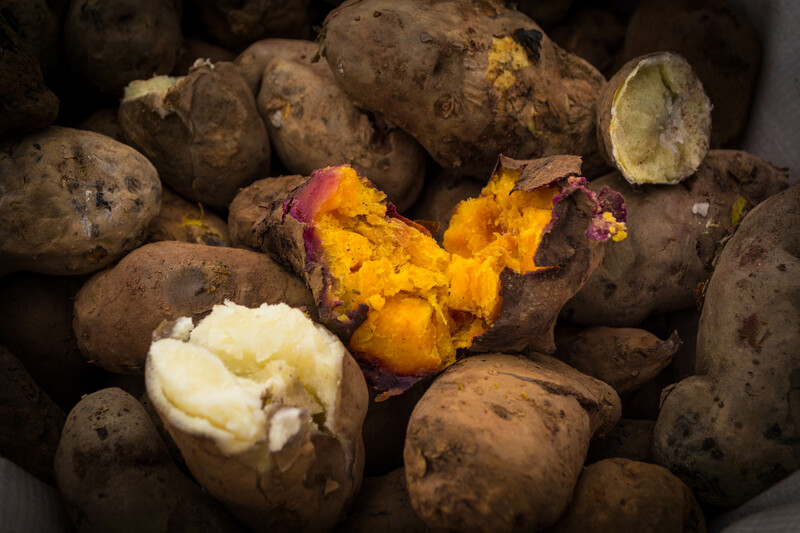 Its main ingredients are potatoes, sweet potatoes,Â ocaÂ (a native tuber) andÂ uchukutaÂ (a famous Andean hot sauce. 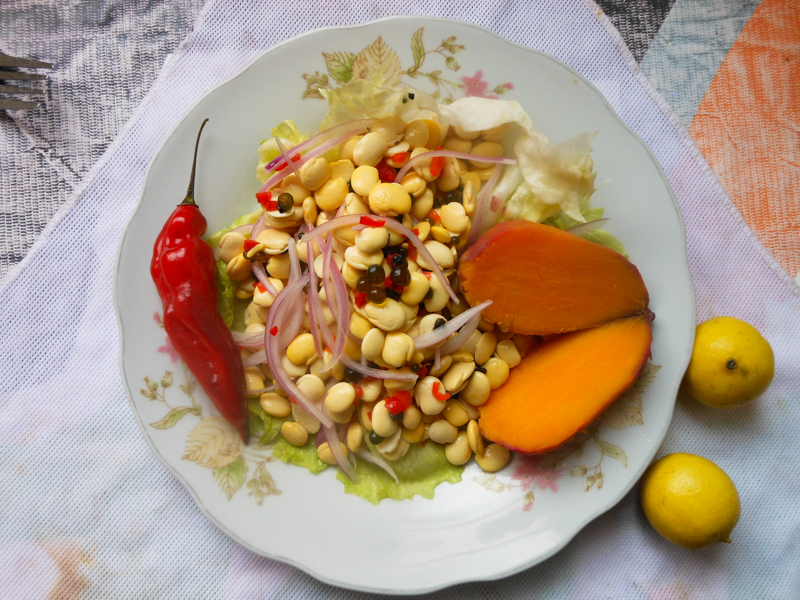 In Quechua, chiriuchu means â€œcold foodâ€. 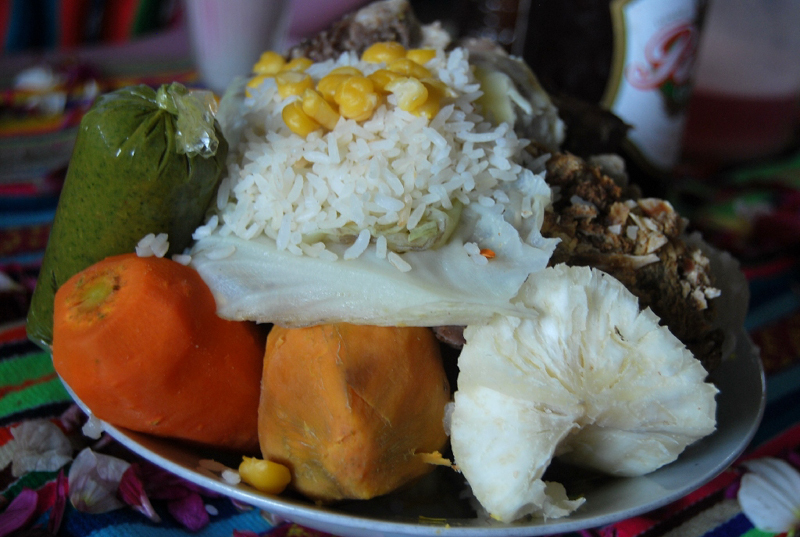 It consists of small pieces of roastedÂ cuyÂ (guinea pig), boiled chicken, jerky orÂ chalonaÂ (a salted, dried meat), sausages, fish eggs, cheese, corn fritters, parched corn, andÂ qochayuyoÂ (dried seaweed), and the rocoto pepper. It is prepared for the feast of Corpus Christi in either May or June. This traditional dish is prepared for the feast of All Saints Day, the first days of the month of November. 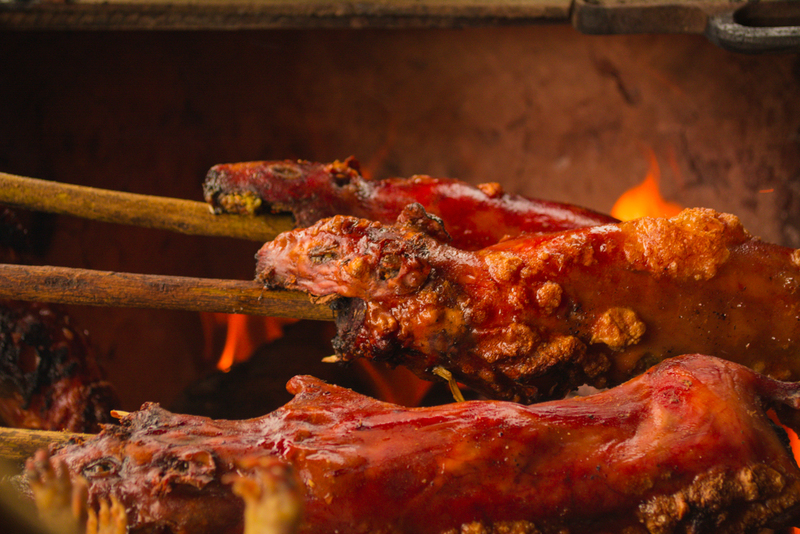 It consists of young pig roasted in the oven and condimented with yellow hot pepper (ajÃ­),Â garlic, cumin, and onons. 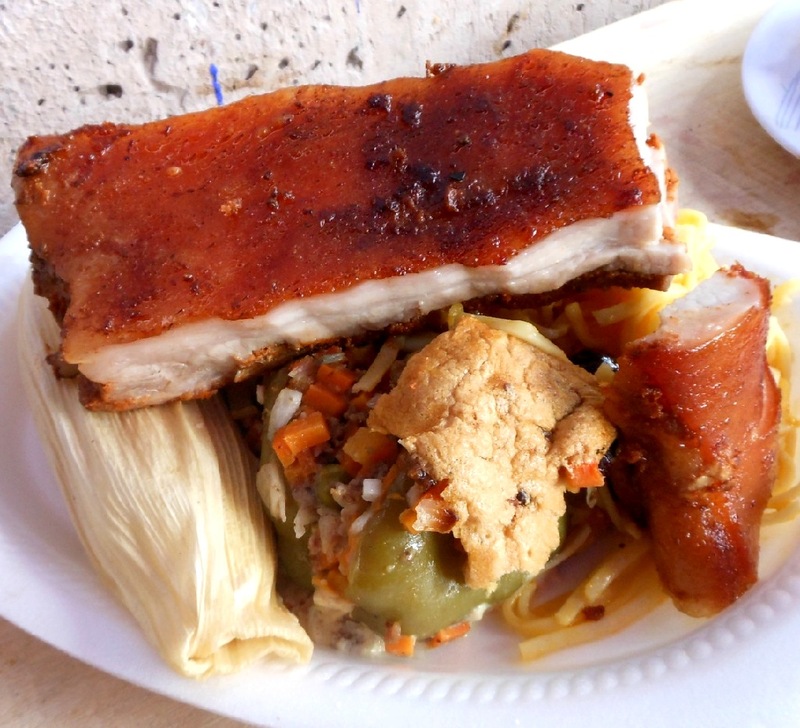 It is served with tamales that are made from white corn flour. 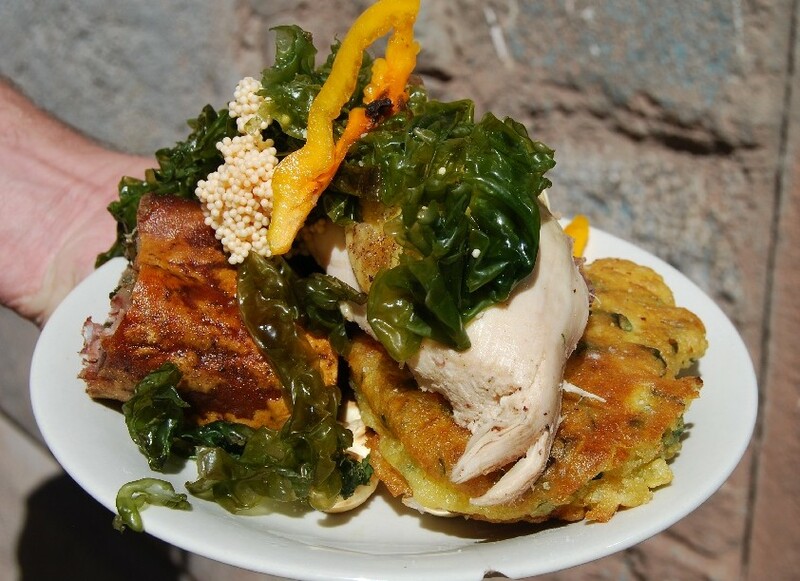 This is the most symbolically important dish of the Cusco region. It is prepared for important events. Condimented withwacatayÂ (black mint), garlic, cumin, and salt, the cuy is oven roasted. 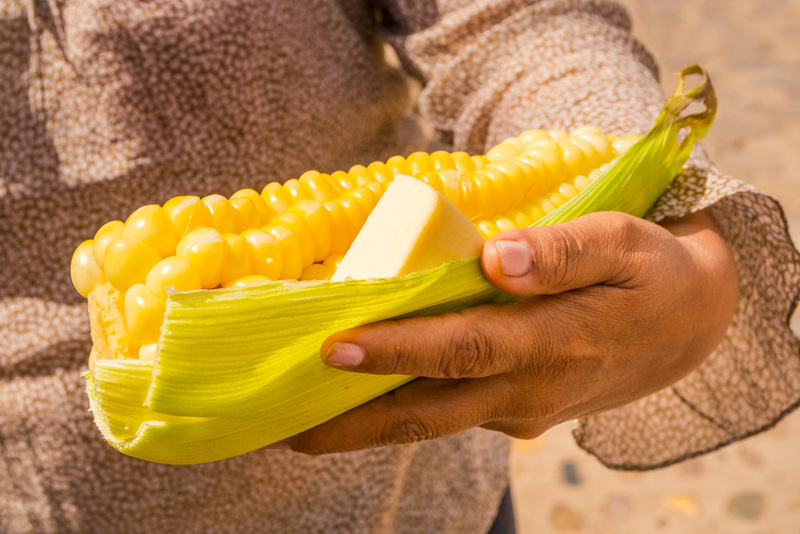 This dish consists of ears of fresh corn, boiled, and served with pieces of fresh, local cheese. 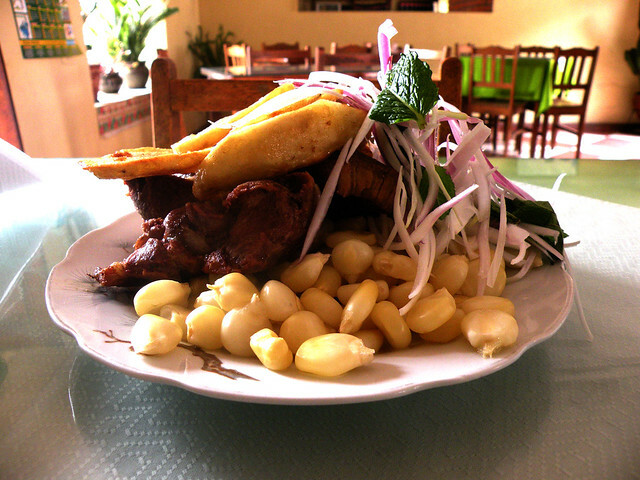 Pieces of pork deep fried in lard, served with fried potatoes in large strips, hominy corn (mote), and a salad of onions with mint. 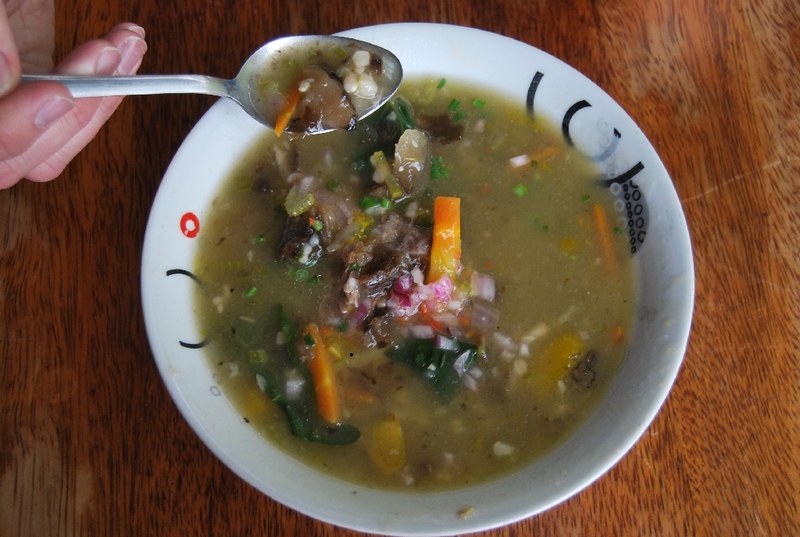 This is a local soup prepared with pieces of lamb or beef, tripe, bacon, potatoes, squash, white freeze-dried potatoes (moraya), wheat, carrots, and cabbage. 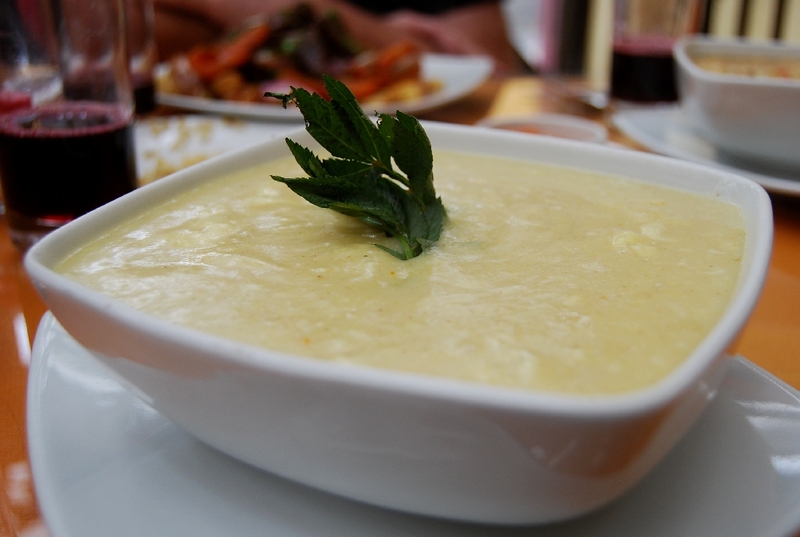 An Andean cream soup made from fresh, ground corn, potatoes, cheese, and eggs. It is seasoned with turmeric. This is a stew whose ingredients are mushrooms, green broad beans, potatoes, and milk. It is served with rice. 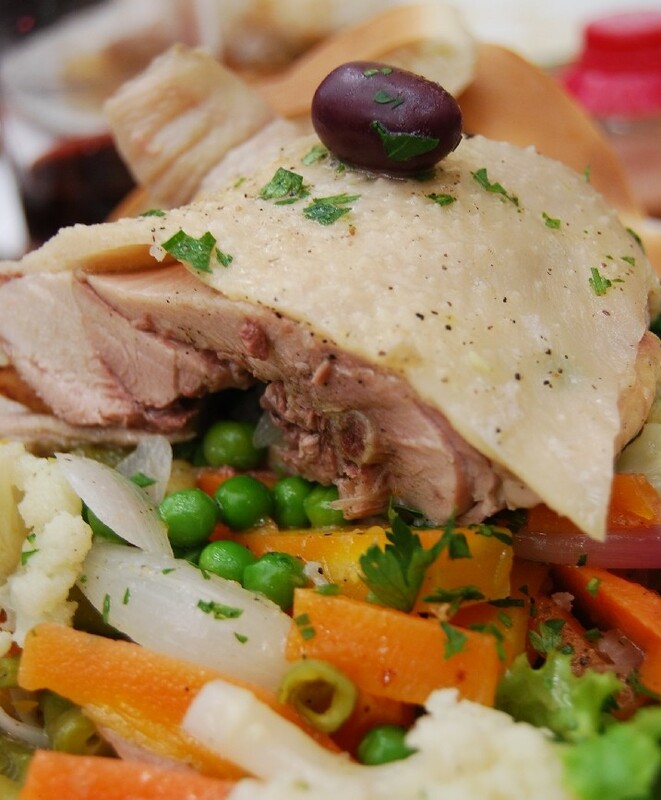 Pieces of either cooked fish or chicken are pickled in vinager along with boiled onions, cauliflower, carrots, peas, and are served with a dusting of chopped parsley. A stew of vegetables such as carrots, broad beans, onion, seaweed, and strips of bacon skin. This is an energy rich dish made withÂ tarwiÂ (edible lupine seeds). 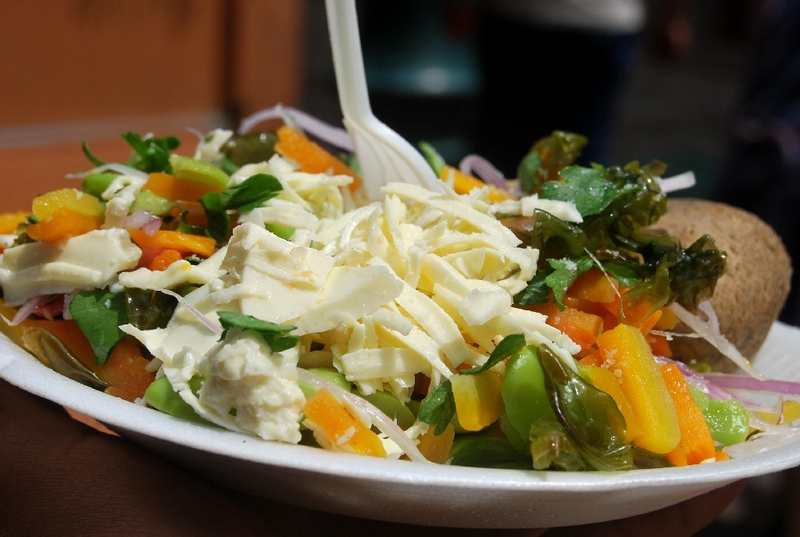 It also has potatoes, cheese, and is seasoned with garlic, hot pepper, onions, mint, and wacatay (black mint). It is served with a toasted and boiled rice.